With Invisalign® you can straighten your teeth more easily and more discreetly than ever before. 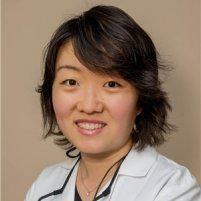 At Wintergreen Family Dentistry in Rockville, Maryland, Huixin Wang, DDS, offers this practically invisible, removable orthodontic treatment system to transform smiles. Simpler than traditional braces, Invisalign works for patients of all ages and produces an enhanced smile with minimal hassle. To find out more, come in for a consultation by calling the office or using the online booking tool today. Invisalign is a new system of straightening teeth without the use of conventional braces and wires. It involves the use of a series of clear aligners that gradually move your teeth into alignment with mild or none discomfort. Moving teeth with removable aligners is not a new concept. 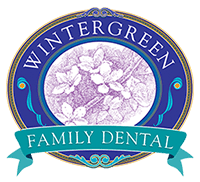 However, the Invisalign computer program — which can generate a series of aligners with small changes — is a recent innovation that Wintergreen Family Dentistry patients can enjoy. Invisalign is recommended for orthodontic situations with mild to moderate spacing or crowding. They are virtually undetectable, easy to use, and comfortable to wear. Over the course of treatment, you get new pairs of aligners every one or two weeks with subtle changes. Each set of aligners applies controlled force to your teeth, gradually shifting them into optimal position over time. You need to wear your aligners at least 20-22 hours a day. For your convenience, you can take out your aligners to eat and brush/floss your teeth. Throughout treatment with Invisalign, you need to come in to see Dr. Wang for periodic checkups for any necessary adjustments. It is very important to be monitored tightly by a dentist to achieve the optimum outcome. However, unlike with traditional braces, these routine visits don’t involve tightening uncomfortable metal brackets. On average, Invisalign takes about 12 months to straighten your teeth and deliver an enhanced smile you can be proud of. Since Invisalign aligners are removable, you don’t have to worry about getting food particles stuck in them, as is the case with traditional metal braces. Also, because the aligners are transparent, you can smile with confidence while you straighten your teeth. People can barely notice you wearing the aligners. Invisalign is one of the fastest, most convenient ways to achieve a straighter, healthier looking smile. How should I take care of my aligners? When you’re not wearing your aligners, it’s very important to take proper care of them so they don’t bend or get damaged. You can also order the Invisalign aligner cleaning system online if you choose. To schedule an Invisalign consultation at the office, call or use the online booking tool today.